Researchers, publishers, funders, and other consumers of research have always been interested in how the content they write, publish, and fund is distributed and used. The stakes are often high, as reputation is built upon such information. Traditionally, we have estimated reach and use by looking at reference citations, both in a given article’s reference list and in the references to that article. Over the last decade, scholarly content increasingly has been discussed beyond the traditional academic space. It has become common to find conversations about scholarly content in places such as blogs, Reddit, and Wikipedia. Now, with the web-fueled growth in scholarly communications, the scholarly community is also interested to find out how many times an article DOI has been shared, clicked on, or bookmarked. The intention to measure this information is included in what many refer to when “altmetrics” is discussed. In light of this need, CrossRef, the organization that facilitates scholarly citation linking and DOI metadata infrastructure, has been experimenting with various tools to gather data about the instances in which a DOI is clicked on in nontraditional spaces. In 2014, with the help of a group of publishers interested in collecting and distributing this data, we initiated a pilot of a new service. Based on interest in this pilot, and on the value of lessons learned, CrossRef’s board approved the new service, called DOI Event Tracker (DET), to move toward launch. You can read about how it all got started and its grounding in the PLOS ALM software here: crosstech.crossref.org/2014/02. The DET will register a wide variety of reach and use events, such as bookmarks, comments, social shares, citations, and links to other research entities, from a growing list of online sources. It will aggregate these events, and make the data available via an API (application programming interface). The data will be openly available so that they can be freely audited. The DET data about those publications can be accessed even if a journal is moved to another publisher. As such, they will provide a single point of access to a wide variety of data from multiple sources (which will change over time) rather than requiring each individual publisher to manage the data. Will CrossRef Provide the Metrics? No, CrossRef is not providing metrics; the DET service will simply register the raw data without providing any additional add-on services such as analysis. However, users of the data, such as researchers, publishers, metrics providers, funders, and hosting providers, will be free to do their own analyses. As always, they are able to build their own services on top of the data CrossRef provides and to choose how it will be displayed. Which Specific Sources Will the Event Data Come From? As of September 2015, we have permission to track DOI events on the following platforms: CiteULike, DataCite, EuropePMC Database Citations, Facebook, Mendeley, Reddit, Research Blogging, ScienceSeeker, Wikipedia, and WordPress. Publishers can also act as sources by publishing and distributing DOI event data via the DET when an event occurs on their platform. There is then scope to add sources as new ones emerge or to remove sources if they become inactive. You can already see some of the work that CrossRef has done with our 8th largest referrer of DOIs, Wikipedia, to build a real-time stream of DOIs being cited (and uncited) in Wikipedia articles across the world by getting a glimpse here: events.labs.crossref.org/events/types/WikipediaCitation. Will It Be Useful to Editors? The DET can be a useful tool to help editors attract authors by offering data on their audience’s research interests and showing the reach of their journal beyond mere reference citations. It will also allow editors to track the dissemination of published articles to discover where they are being discussed, bookmarked, and linked to. 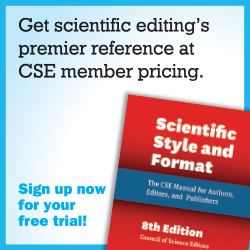 This will help editors to answer questions such as “Is usage growing over time?” and “Which articles or subject areas are seeing more usage than others?” Data from the DET can provide valuable information, which an editor can take into account when making decisions about journal coverage, direction, and development. Such real-time, or near realtime, information on DOI usage could provide information that helps editors make their decisions faster, with more information. There will be two service tiers. In the first tier, users will be able to access the event data via a free version of the API. In the second tier, CrossRef will offer additional features to the free API, such as guaranteed uptime and support response times, bulk downloads, and fast delivery speeds, governed by a fee-based service level agreement (SLA). The second tier is offered so that organizations that want to build services on top of the DET data can ensure high speed and reliability for use that fits their more advanced needs. More information on the specifics of the SLA service will be made available in 2016. If you would like stay informed about the 2016 launch of the DOI Event Tracker and the DET SLA service, you can register your interest at: docs.google.com/forms/d/1pOnL6500eFebismbHMlAJINxVFqvDFMMkupZualmNo/viewform. ANNA TOLWINSKA is marketing manager at about journal coverage, direction, and CrossRef. You can follow Anna on Twitter at @atolwinska, and her email is annat@crossref.org.